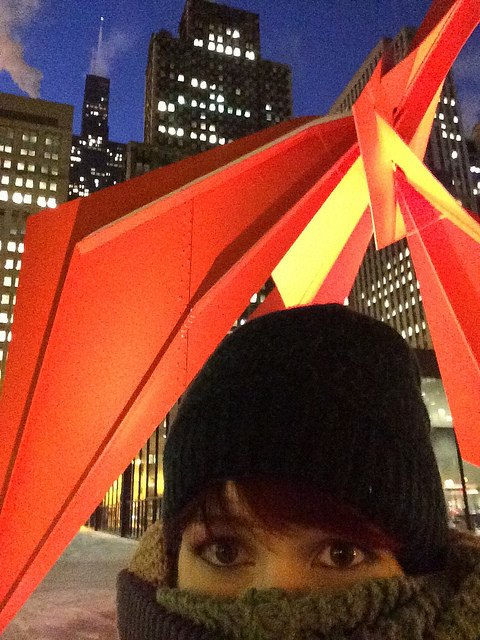 Gee Whiz, it has been quite the week here in ‘Chiberia’ and it’s only Tuesday. 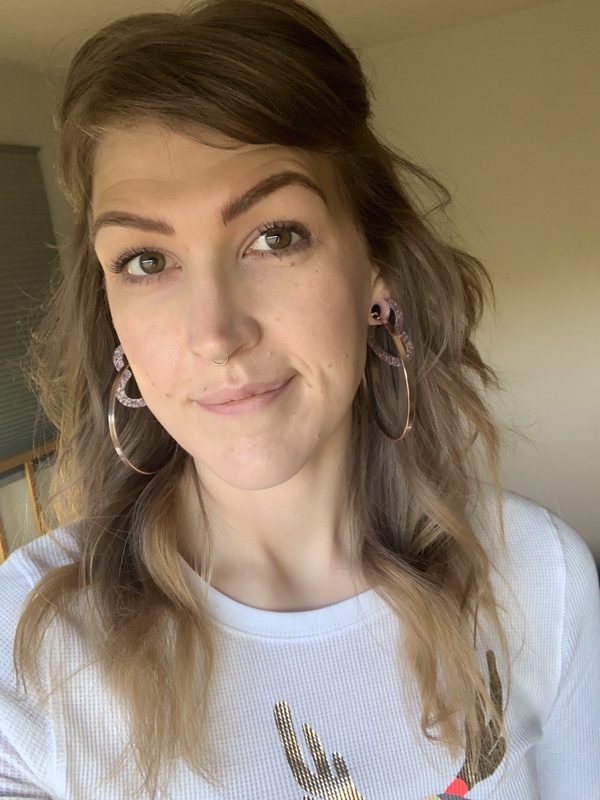 First let’s just get it out of the way – it’s so cold I can’t even believe it. Second, Chicago has really sucked it up on being ‘prepared.’ The CTA (our transit system HA) ran yesterday with MAJOR DELAYS – that meant that instead of waiting an average of 5 minutes for a train or bus (even less most days) the wait for the bus was 15 minutes each way to work (exposed mind you) and 15 minutes for the train. The only saving grace yesterday was that a lot of people stayed home. This morning we were not so lucky because the buses are back to business as usual but the train still for some reason is running incredibly infrequent and late. let’s not even talk about this cold. Regardless, the crap weather didn’t stop me from taking an amazing class at The Needle Shop on Saturday to learn the famous Amy Butler Gumdrop pillow. I had a blast. 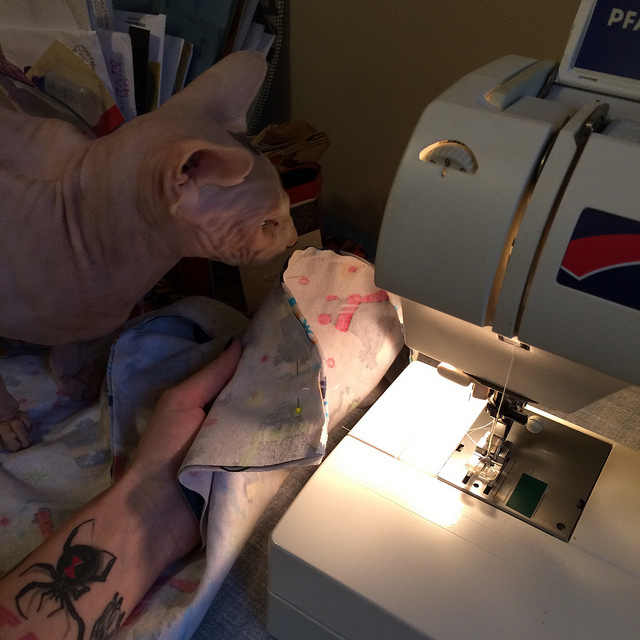 I met some great women and learned some awesome new patterning and hand sewing skills. 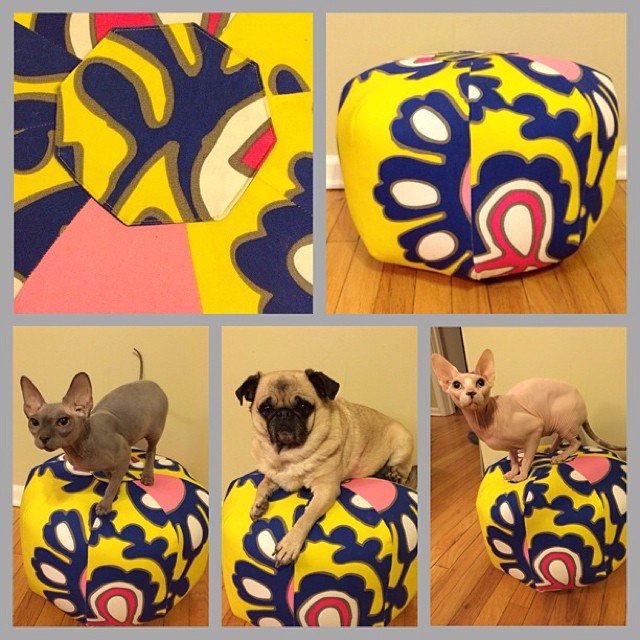 Amy Bulter Pillow well received. 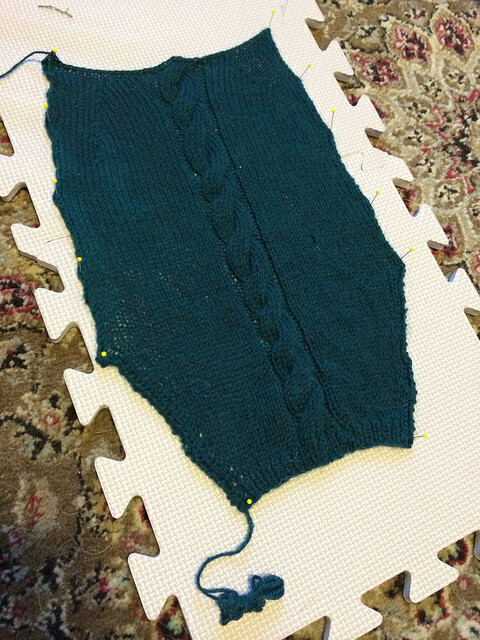 I also started a new sweater for my sick kitten Boris. My neighbors and I exchange little ‘trinkets’ from time to time and this was what I made for their pup Lola. 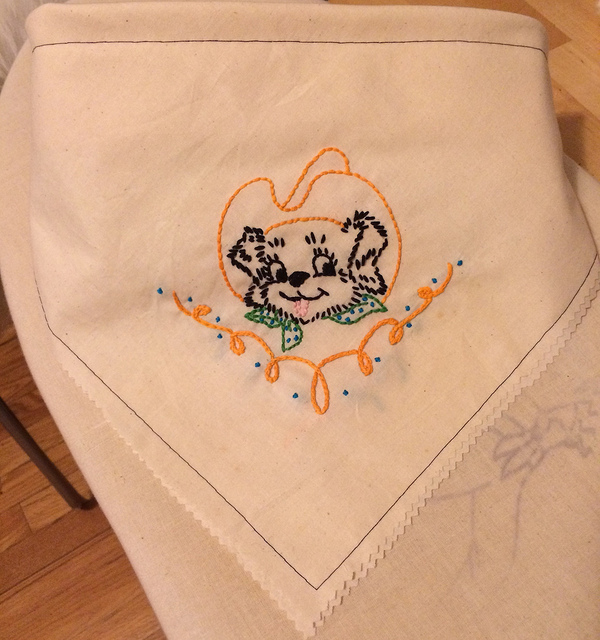 Handkerchief for the neighbor doggie Lola. 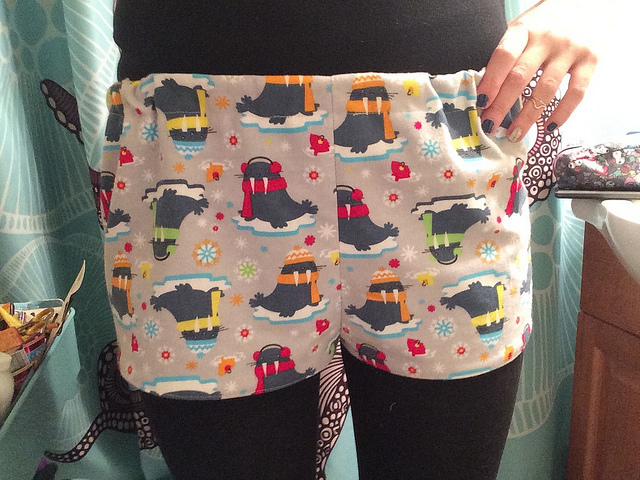 I made some ‘winter shorts’ notice I’m wearing long underwear under them haha. new pj shorts for the STAKBE club. 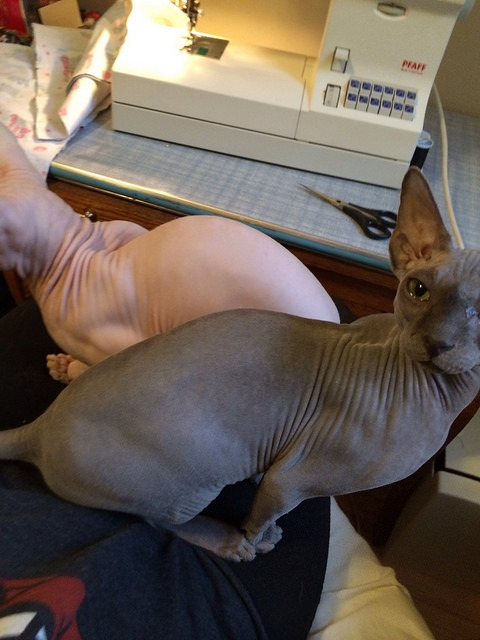 Sewing is interesting with two nosy sphynx cats. Finally – a chuckle at how ridiculous Leopold looks in his winter outfit. 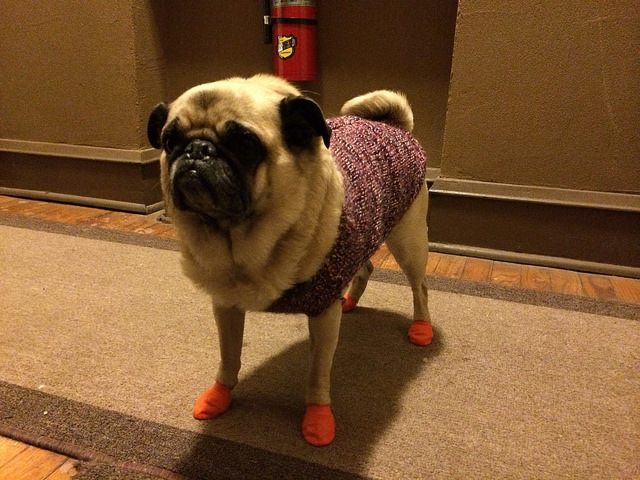 Oh man, Leopold is rocking the orange booties! Does he give you any issues with getting them on? 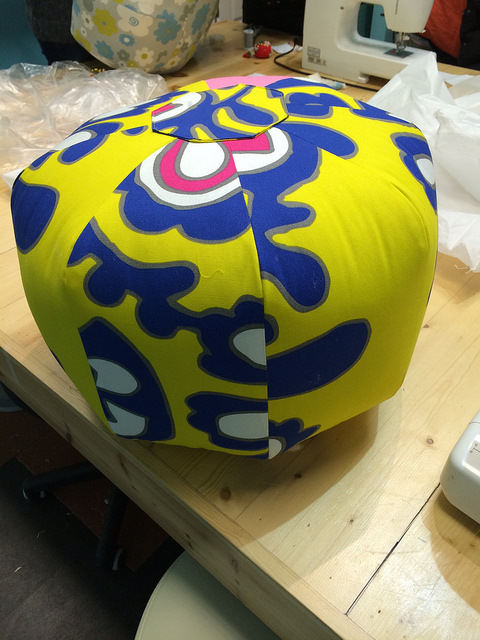 And good job on the gumdrop pillow – looks like fun!